Roll out the red carpet: This year’s crop of Distinguished Alumnus Award winners is an impressive bunch. Presented each fall, the Distinguished Alumnus Award is the Texas Exes’ highest honor for outstanding University of Texas graduates. Since the award was created in 1958, recipients have ranged from author John Coetzee and surgeon Denton Cooley to former first lady Laura Bush and actor Eli Wallach. The latest round of awardees includes a cancer researcher, a filmmaker, a civic leader, an energy attorney, an astronaut, and a business leader. The awards will be presented at the LBJ Presidential Library on Friday, November 6. Below, meet the 2015 Distinguished Alumni. 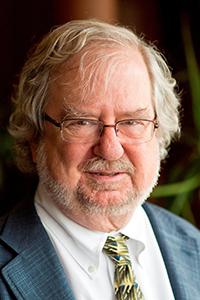 James Allison, BA ’69, PhD ’73, Life Member, is an immunologist and cancer researcher. Allison’s research has advanced the use of immunotherapy in the fight against cancer and led to the new drug Ipilimumab, which has been credited with saving the lives of melanoma patients. He chairs the Department of Immunology at the MD Anderson Cancer Center, where he is also executive director of the Immunotherapy Platform and deputy director of the David H. Koch Center for Applied Research of Genitourinary Cancers. Allison is a member of the National Academy of Sciences and the Institute of Medicine, and he is also the recipient of the Breakthrough Prize in Life Sciences and the Harvey Prize in Human Health. 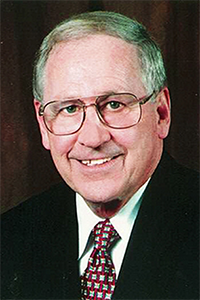 Dan Burck, BBA ’56, Life Member, is independent chairman of the board of American Campus Communities (NYSE). A former chancellor of the UT System, Burck served as the first advisory director of the University of Texas Investment Management Company and on the Governor’s Council in Science and Biotechnology. Burck worked with Getty Oil Company from 1955-84, ultimately managing the company’s diversified worldwide holdings. He was also vice president and founding director of ESPN. Burck is a member of the Chancellor’s Council Executive Committee, the Littlefield Society, the Silver Spurs, and the UT Development Board. In June 2014, he was named as one of six finalists at the NYSE Governance Services Leadership Awards in the Nonexecutive Chairman of the Year category. 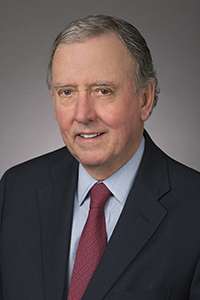 He is a member of the McCombs School of Business Hall of Fame and was the 2015 International Kappa Sigma Man of the Year. James C. Langdon, Jr., BBA ’67, JD ’70, Life Member, is a partner with Akin Gump Strauss Hauer & Feld LLP. He is widely recognized as a leading authority in the international energy sector and has represented international oil and gas companies across Europe, China, Russia, South America, and the Middle East. Langdon served on the President’s Foreign Intelligence Advisory Board and the Intelligence Oversight Board and was instrumental in founding the Robert S. Strauss Center for International Security and Law at the University of Texas. He currently serves on the University Development Board and on the corporate board and as lead director of the Whittier Trust Company. He is also a recipient of the University of Texas Presidential Citation. Robert Rodriguez, BS ’08, Life Member, is an award-winning filmmaker. 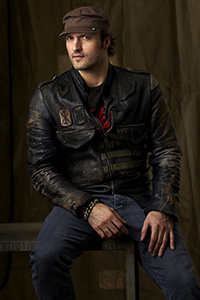 He completed his first film, El Mariachi, while attending UT. The film earned the Audience Award at the Sundance Film Festival and became the lowest-budget film ever released by a major studio. He went on to write, produce, direct, edit, and score films including Desperado, From Dusk Till Dawn, the Spy Kids franchise, Machete, and Sin City, among many others. One of the first filmmakers to embrace digital filmmaking and 3-D, he is the founder and president of the Austin-based Troublemaker Studios. Rodriguez also founded and chairs El Rey Network, an English-language television network featuring Hispanics on both sides of the camera. He is the recipient of the 2015 Woodrow Wilson Award for Corporate Citizenship. Judy Tate, BS ’73, Life Member, is a civic leader and University of Texas advocate. As a former chair of the College of Fine Arts Advisory Council and the Blanton Museum Council, she was instrumental in the founding of the Blanton Museum of Art, now the most comprehensive collection of art in Central Texas and one of the foremost university art museums in the country. Her support of the Blanton also includes the Judy and Charles Tate Collection of Latin American Art and a curatorial endowment. Tate has served on the boards of the Kinkaid School, the Museum of Fine Arts, Houston, St. Luke’s Episcopal Health System, Communities in School of Houston, the Friends of the Governor’s Mansion, the Salvation Army, and many other civic organizations. 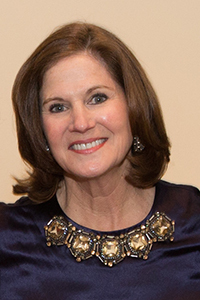 She is a longtime member of the Texas Exes board, past chair of the Chancellor’s Council, and continues an active involvement in the Blanton Museum, the Development Board, and in other areas of the university. Stephanie Wilson, MS ’92, is a NASA astronaut. She began her career as an engineer with the Martin Marietta Astronautics Group before attending graduate school at UT, where her research focused on the control and modeling of large, flexible space structures. She also worked at the Jet Propulsion Laboratory on the Galileo spacecraft before being selected as a NASA astronaut in 1996. A veteran of three spaceflights on the shuttle Discovery, Wilson has logged 42 days in space. She has also served as a Capsule Communicator in Mission Control, as the chief of the Space Station Integration branch within the Astronaut Office, as a member of the 2009 and 2013 Astronaut Selection Boards, and is an associate fellow for the American Institute of Aeronautics and Astronautics. 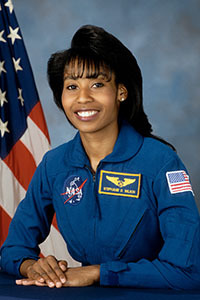 Wilson is a recipient of the Outstanding Young Texas Ex Award, an honorary Doctorate of Science from Williams College, the Harvard Foundation Scientist of the Year Award, and the NASA Distinguished Service Medal.